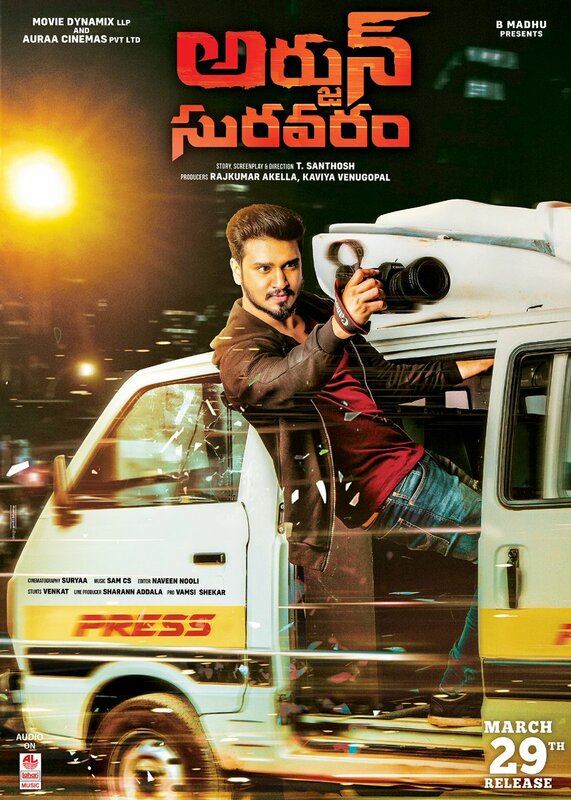 The film is now named after the name of Nikhil’s character in the film – Arjun Lenin Suravaram. Movie Releasing March 29th. The buzz in the industry is that they had not registered the Mudra title at the Film Chamber. Hence, another producer registered the title. Which is why they were forced to change the title. Arjun Suravaram has written the movie directed by TN Santhosh and produced by Tagore Madhu B, Akella Rajkumar and Kaviya Venugopal. It is an action drama about an investigative journalist who is arrested for cheating banks with fake certificates. The story is about how he discovers a crime syndicate behind the scam.